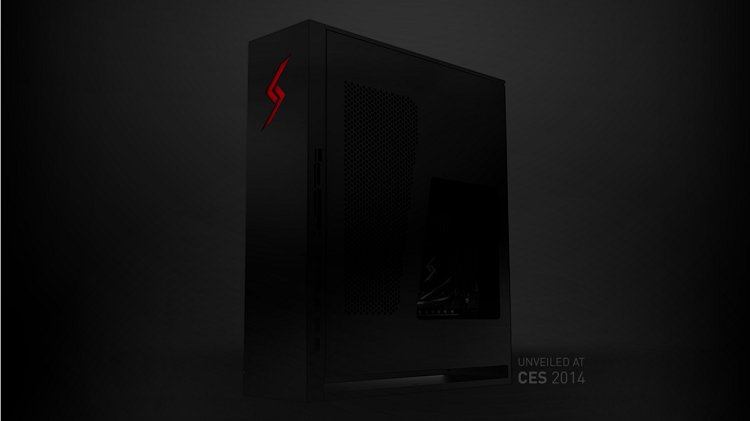 Digital Storm has announced its anticipated Steam Machine at this year's Consumer Electronics Show. The Bolt II was teased/unveiled last December, and boasts some unique features like an enhanced thermal design, dual booting (Windows/Steam OS) and a 240mm liquid cooling system. Pair that with perforated vents and the Bolt II has “double the cooling power of its closest competitor,” according to Digital Storm. All of this is wrapped up in a small, form-factor, jet-black casing with a bright red badge. For those of you who were hopeful to find a Steam-machine that was priced closer to consoles, this one's for you. CyberPowerPC's Steam Box is hopeful to compete with consoles at a price point of $499. Their latest creation will come packaged with a 3.9GHz AMD A6-6400K processor, and feature AMD Radeon R9 270 discrete graphics. A 500GB HDD and 8GB of RAM round out the specs for this anticipated custom-design. CyberPowerPC plans to roll out its Steam Machine sometime in the second half of 2014, but Digital Storm expects to have their creation on store shelves by the end of January.